We gave two of our designers a project to come up with some ideas for a family room. No limitations on color, here is what they each came up with. Option 1: Deeper, richer earthy tones set the mood to warm and inviting. 1. Cambria color Laneshaw …. could be used for a bar top, fireplace face or hearth, the top of a built in bookcase, or even a recessed ledge/ niche. 2. Glass tile- this 4″ x 4″ black glossy tile would be a stunning backsplash with the Cambria Laneshaw or on the fireplace face. 3. Mosaic tile- you can incorporate this beautiful mosaic glass and stone mix mosaic tile in the bar backsplash or use it on the fireplace face. 4. Blinds- for your window covering needs this woven blind from Alta offers a casual and earthy look that is perfect for this type of space. Option 2: Lighter neutrals of creamy beiges and subtle taupes offer a hint of sophistication and grace to this color pallet while still being comfortable and cozy. 2. Glass tile: These creamy beige tones are stunning against the Cambria countertop and could be used as a backsplash. 3. Cambria color Nevern– is a brand new color! There are stunning amethyst tones running throughout against a backdrop of neutral tones for just a hint of color. 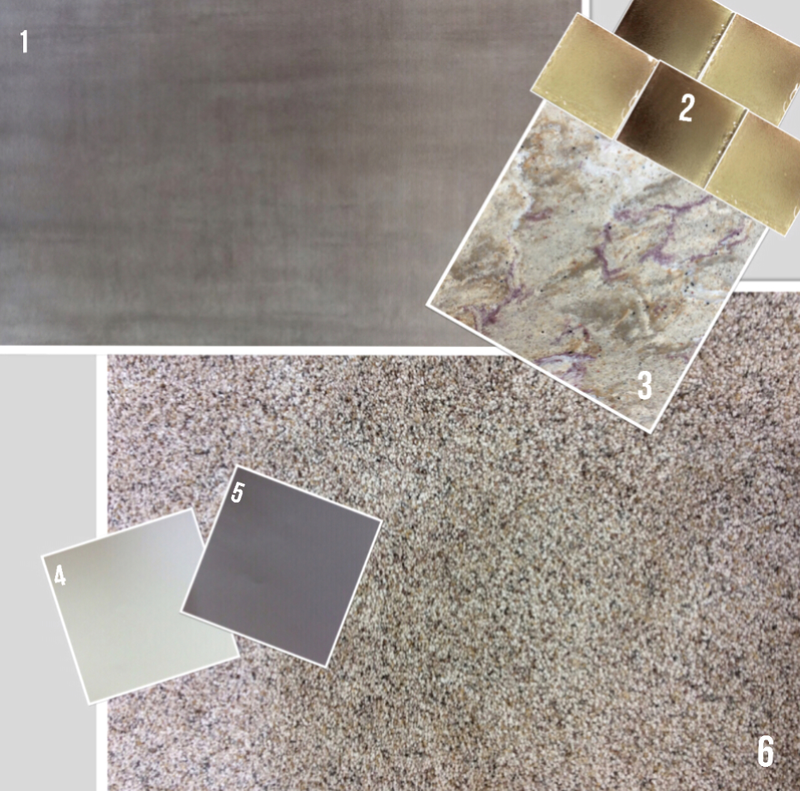 We would love to hear your opinion- do you prefer the darker richer tones of option 1 or the lighter creamy beige and gray neutrals of option 2? 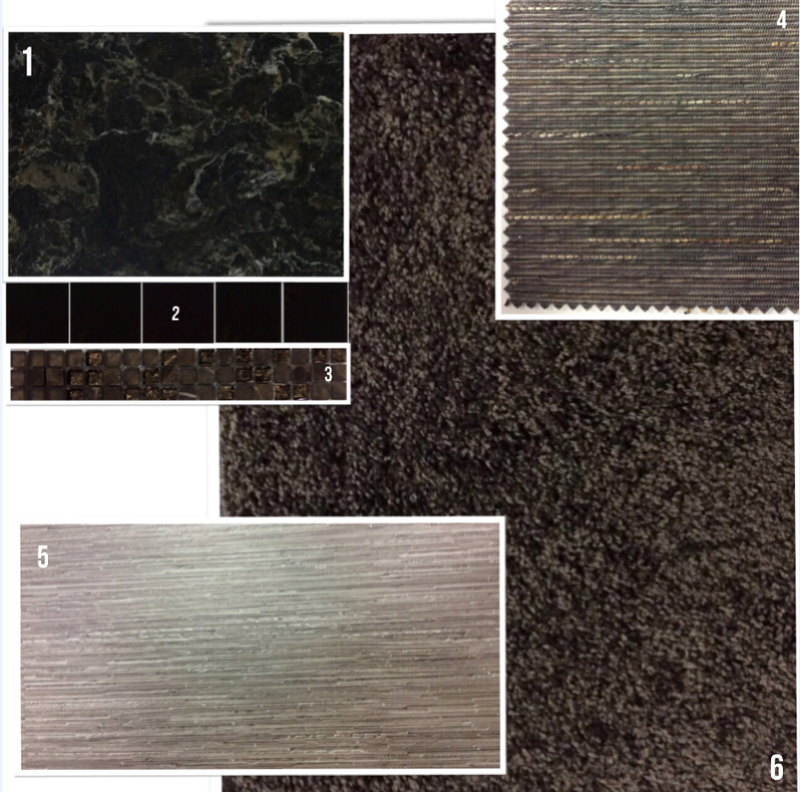 Tags: Cambria, carpet, design of the month, glass, tile. Bookmark the permalink.